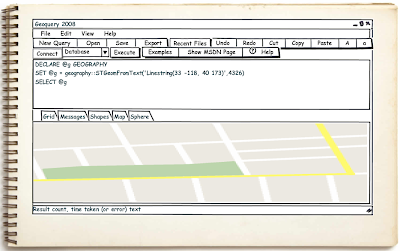 I saw Tim's post on Software Mockups using Balsamiq just a few days after independently 'discovering' it via Russ. I think a 'google earth globe' is about the only widget they didn't include! Balsamiq Mockups is great fun - a very wide variety of widgets are built in, the Flash interface is easy to use (and if you can't get stuff to quite line up exactly, who cares! it's a mockup!). If you continue to use it, don't forget to buy.